Sarnath where Buddha gave his first sermon. 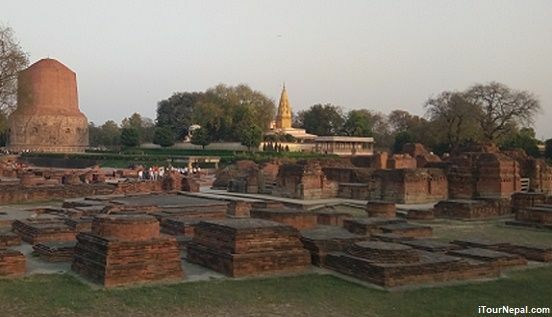 Kushinagar, the site of Buddha's Mahaparinirvana. Buddhist tour of India and Nepal covers the major archaeological sites related with Buddha. The monasteries, votive stupas and Emperor Ashoka’s column with inscriptions kept the sites related with Buddha intact with strong evidences. Four major sites of the tour covers are: Sarnath (where he gave his first sermon), Bodhgaya (place of enlightenment), Kushinagar (the site of Buddha’s Mahaparinirvana) and Lumbini (Buddha’s birthplace). Beside the above sites, the tour also covers huge monastery complexes and relic stupas with residence of Buddha were found in Shravasti, Vaishali Rajgir and Kapilavastu. Buddhist circuit tour of Nepal and India starts from the typical Indian city of Varanasi. Flights to Varanasi can be easily connected from your hometown. 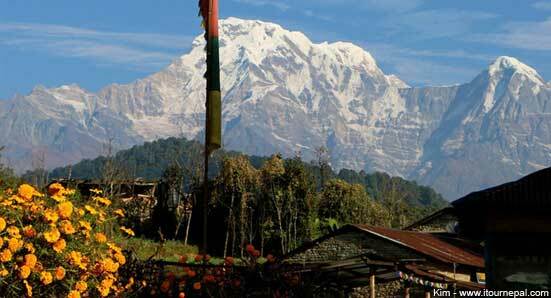 We will drive to Nepal through Sunauli border exploring the cultural and heritage sites along the way. 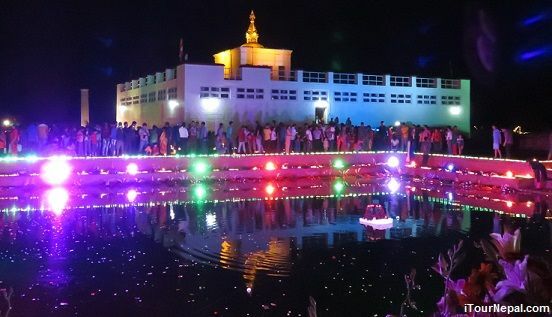 In Nepal visit Lumbini and drive to Pokhara or Kathmandu. The tour is 12 days but it could be customized within 6 days with fly in and out from Varanasi airport or with more days exploring Nepal. Buddhist pilgriage tour could be customized to fit your available time and interest. Day 01: Arrive Varanasi airport. Pick up and transfer to hotel. Day 02: Morning boat ride to watch Ghats (cremation grounds) during the sunrise and back from breakfast. In the afternoon, drive to Saravasti – the place where Buddha gave his first sermon. Day 03: Drive 255 km / 6 hrs to Bodhgaya. 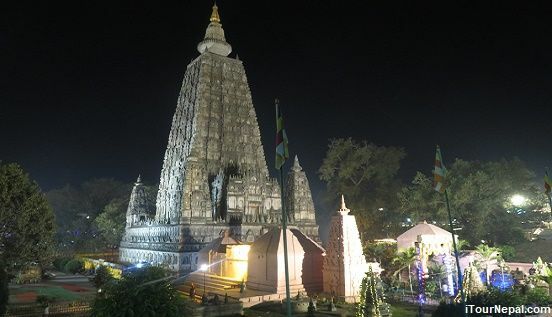 Visit the Mahabodhi temple in the evening. Day 04: Explore the monastic zones and surrounding places. There is an option of driving to Dhungeshwari cave, also known as Mahakala cave (Pragbodhhi cave in Buddhist scriptures). Visit Sujata Stupa on the way. Free in the evening. Day 05: Drive to Rajgir and visit the Gidharkuta hill known as vulture peak. This was Buddha’s favorite retreat. Buddha frequently visited the site and taught some of the Suttras at the place. Also visit king Bimbisara’s jail, the Jivika’s hospital and Venuvana (bamboo groove) donated by king Bimbisara to Buddha to built monasteries. Drive 12 km to Nalanda university ruins and drive further 100 km to Patna for overnight stay. Day 07: Drive from Kushinagar to Shravasti 200 km / 5 hrs and tour around the archaeological sites within Jetavana. The ruins of Gandhakuti (where Buddha spent 22 monsoons, the most of the time after enlightenment) and the Bodhi tree are the highlights. Day 08: Drive 180 km / 5 hrs to Sunauli border. Visit the Buddha relic Stupa of Indian side of Kapilavastu. After immigration formalities, drive another 26 km / 40 mints to Lumbini the birthplace of Buddha. Day 09: Explore the archeological sites of Kapilavastu palace where Buddha spent 29 years as prince Siddhartha, the Nigrodharma monastery ruin where Buddha stayed while visiting his father after enlightenment. In the late afternoon, visit the 2 X 6 km area of monastic zone, world peace pagoda and the Mayadevi temple with marker stone marking the exact birthplace of Buddha. Day 10: Drive 300 km / 8 hrs back to Kathmandu. Day 11: Buddhist tour of Kathmandu. 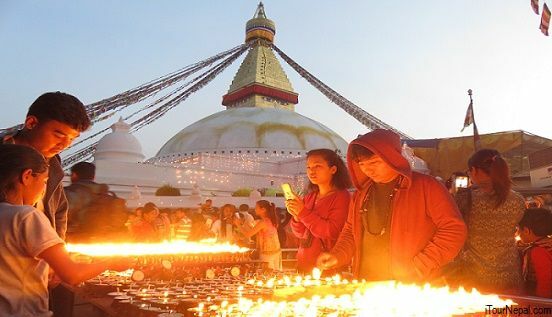 Visit Boudhanath Stupa, Swyambhuanth Stupa and the oldest existing Buddhist city of Patan. Day 12: Drive to the airport for final departure. This was one of a lifetime tour! 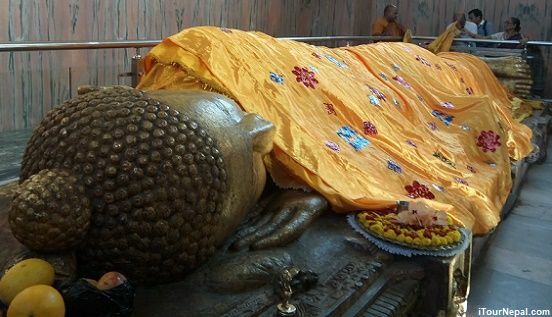 I took the Buddhist Pilgrimage Tour and I will never forget about it. Rabi is super professional and flexible to adapt to each person needs and wishes. He has a deep knowledge of the places and I really enjoyed our philophical discussions of Buddhism, Hinduism, life, destiny and Karma! He was always very helpful and super kind with me. Extend your Buddhist pilgrimage tour and visit the mystic land of Lhasa in just 3 nights 4 days. Combine your Buddhist tour with Bhutan. 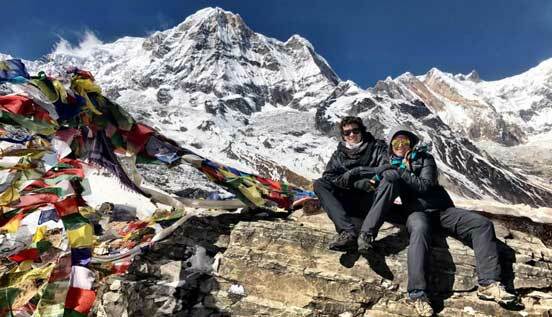 Experience the warm hospitality, culture and unsurpassed nature of a Buddhist land and hike to Guru Rinpoche's Tiger's Nest (Taktsang monastery). One hour flight to Mt. Everest leaves every morning from Kathmandu. 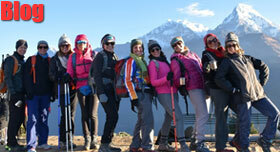 This is the best way of capturing 5 out of top 10 highest mountains in the World including Mt. Everest. DALAI LAMA wishes to abandon the reincarnation. China says, he has no right to do so. Tibetans fear China will use his succession to split Tibetan Buddhism. Shamarpa's cremation in Nepal Cremation of the 14th Shamarpa took place at Shar Minub monastery in Ishangunarayan in supervision of Holiness the 17th Karmapa Trinlay Thaye Dorje.